Tokyo can be overwhelming for anyone. The crowds, the signs, the neon lights, the traffic etc. all add up to a lot of sensory overload. So what do you do when you need to unwind? Heading back to your hotel room is an option (but boring). 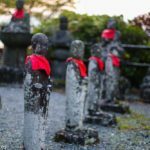 How about unwinding like many Japanese do? Head to an animal cafe and spend some time playing with a borrowed pet. After an extensive search, I found a wonderful cat cafe where my kids and I spent a couple of hours hanging out with some adorable cats. 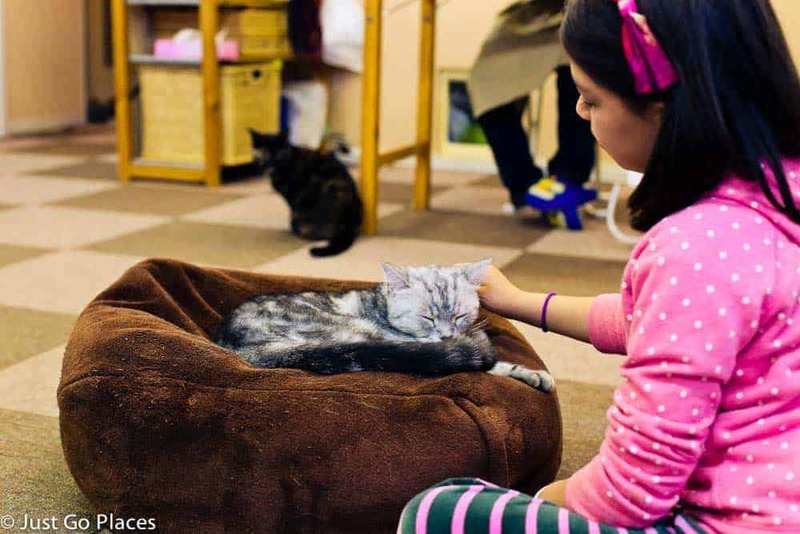 It’s not easy to fin a cat cafe with kids in tow. Many places have a restriction saying you need to be 12+ to be allowed inside the cat cafe. These places are worried about overly rambunctious children terrorising their beloved kitties. We chose Cat Cafe Nekorobi which is a small cat cafe with about 14 cats on their roster. We went early afternoon (post lunch-time and before the after-work crowd). We were there with only a few other Japanese people. Contrary to what I expected, it wasn’t all young unmarried women but some couples and some single men. Some of the cats were sleeping and others did not want to be bothered. There were enough cats though that wanted to play to make the experience completely entertaining. They all had different personalities and we each quickly found our favourites. My daughter and I loved the one that we called Grumpy Cat because his face made him look like the famous Grumpy Cat of internet fame. My son liked the dumb kitten who would chase his own tail and always wanted to play. You are asked to put away your belongings in a locker. Then your hands are disinfected before you are allowed to play with the cats. The cafe has lots of cat toys at your disposal. There are two small sofas as well as a table and chairs if you just want to sit. Wifi is free and excellent as is the vending machine providing drinks. 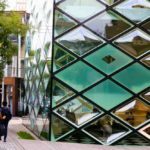 Although you are only a couple of floors above street level on a busy Tokyo street, the atmosphere is quiet and chilled. So, why cat cafes? We learned that many people in Tokyo live in apartment blocks that have pet restrictions. If you are an animal lover then the only way to get some pet cuddling time is to go to one of these cafes. Hence, why they are very popular. 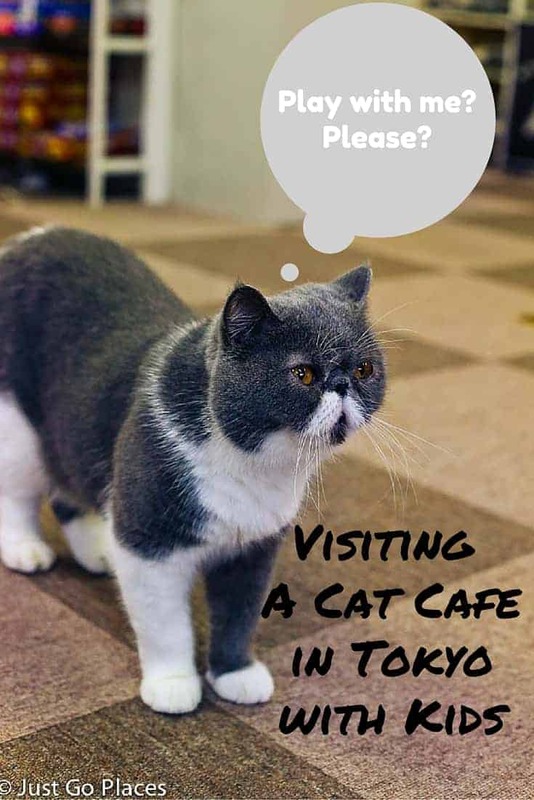 I’m pretty sure my brother (owner of 3 cats) and my husband (known as the Cat Whisperer in my family because he can charm any cat) would both be regular attendees at these cat cafes if they lived in Tokyo. 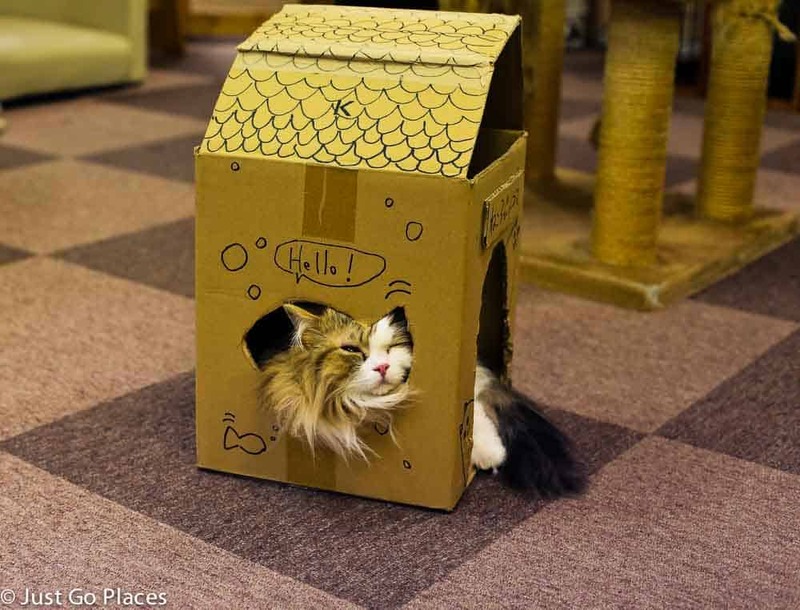 There are about 30 cat cafes in Tokyo which are probably the most popular type of animal cafe. There are also other types of animal cafes for rabbits, birds, owls, snakes, reptiles, dogs and even penguins. Basically most types of pets are covered by some sort of cafe. 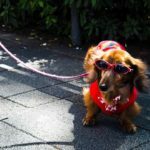 Where in Tokyo and The Japan Times have a handy list of animal cafes – you will need to check individually though to see if they allow children to visit. We wanted to go to the Dog Cafe (Dog Heart) but ran out of time. Animal cafes need to be booked ahead of time if you want to go at peak times like the weekend or in the evenings. We went to a rabbit cafe, R.a.a.g.f in Harajuku which had the most adorable (really fat) rabbits. Unfortunately, we went after the Halloween Parade on a weekend. The only time slot R.a.a.gf. could give us was inconvenient with dinner plans we had made with friends. They were incredibly kind though and saw the disappointment on my children’s faces. They let my children coo over the rabbits for a few minutes even though there was a line of people waiting to get in for the next round of rabbit cuddling. I had to insist on my kids leaving the Nekorobi Cat Cafe after a couple of hours. After all, we didn’t come to Tokyo to spend hours on end hanging out in a cat cafe. 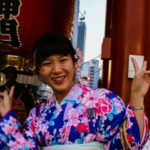 My children thought it was one of the best experiences they had in Tokyo. We tried to attend some other animal cafes but ran out of time. I have promised my children that we can schedule more animal cafes when we do a return visit to Tokyo at some point in the future. Yes, we will be returning! My children loved Tokyo. 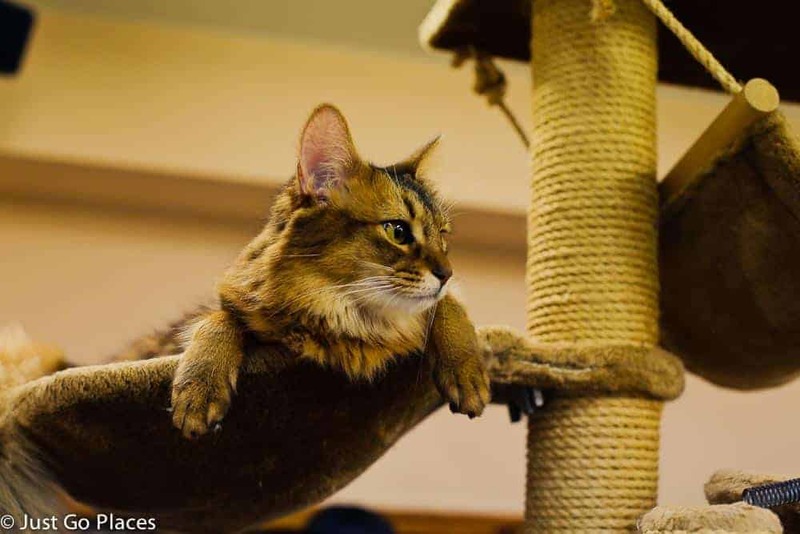 The Nekorobi Cat Cafe is located on Higashi-Ikebukuro which is a main street in the Ikebukuro neighbourhood of Tokyo. There is a Higashi-Ikebukuro stop on the subway which I suggest you take. 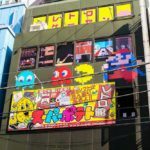 Then follow the handy map on their website for a few blocks and the Nekorobi Cat Cafe is on a corner building. The building is called T.O. Building and is right on that main road. Go in through the side entrance and go up a couple of floors. We got really lost trying to find the cat cafe but had some lovely Japanese people who helped us. We made the mistake of using the Ikebukuro subway stop which made it unnecessarily hard to find Higashi Ikebukuro. Nekorobi Cat Cafe is open 11:00 AM to 10:00 pm 7 days a week. As I said, previously, however, evenings and weekends tend to get booked quickly by the regulars who come after work. 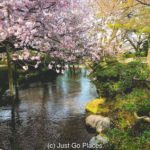 This post is linked up with Pierced Wonderings, Travel Photo Thursday and Weekend Wanderlust. I was always a bit ambivalent about cat cafes (although I like cats and have one myself), but when you point out that it is quiet and stress free I can really see how they would be really enjoyable in a city like Tokyo. The rabbit ones sounds great. We’re not allowed to keep rabbits in Queensland so that would be really enjoyable for us. I agree that cat cafes could be misused. 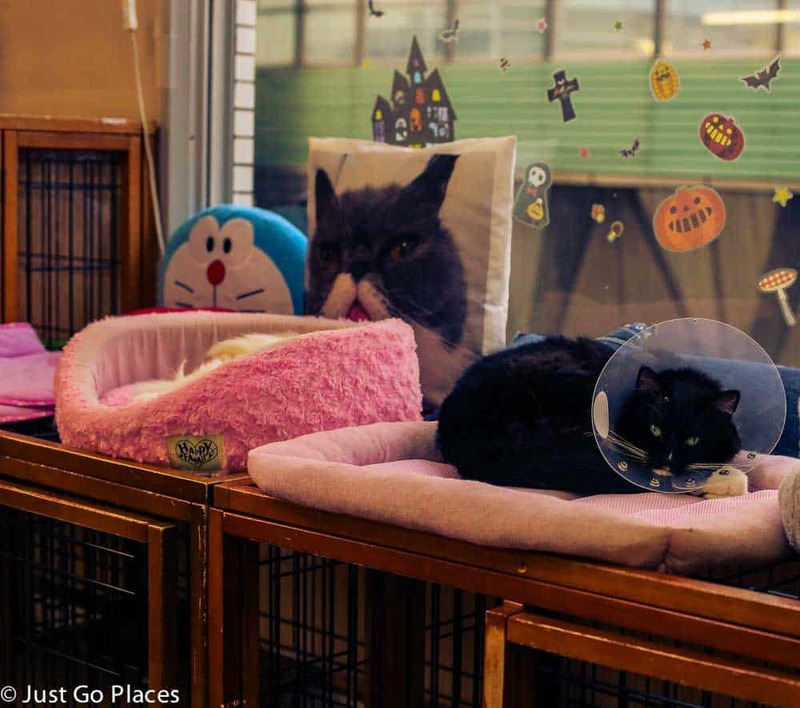 These cats are rescue cats and the only way for many people in Tokyo to enjoy a pet. I have a dog myself and sometimes I just need some puppy therapy. My husband (the cat lover) is allergic to cats so this sort of environment is perfect for him also – he can take his antihistamines and play with a cat for an hour without committing to a cat at home. I’m glad you got to go to a cat café while you were in Tokyo! I only didn’t check one out because I was afraid it would set off my allergies. Did it smell badly of cat and/or litter boxes? Was everything covered in hair or was it clean? As you’d expect from the Japanese the cafe was spotless and clean. No smells etc. Just like a home you took your shoes off to enter. What a fun place to visit. I’d love to visit a cat cafe, especially in Tokyo (it’s my dream destination). In Greece we have many stray cats, but it’s unhygenic to pet them, as they more than often go inside garbage bins! I remember seeing the stray cats when I was in Athens last year. Aw, a grumpy cat lookalike! How adorable! I love cuddling up to kitties, I can’t have a cat due to my more than itinerant lifestyle. I’ve not actually been to a cat cafe yet, but I like the idea! I’m no sure I’m keen on the idea of a penguin cafe or an owl cafe though, they are entirely different creatures altogether, not domesticated and used to strangers/people like domestic cats or dogs, I would be concerned about their overall welfare. Like with many things they took a good idea and went with it! I bet the penguin cafe was inspired by Mr. Poppers Penguins (a movie my kids loved). Love cats! I haven’t visited a cat cafe yet, but it’s on my list. The nearest one to me is in London, though this one in Tokyo sounds even better. There’s a 3 month waiting list at the London cafe in Shoreditch! I tried to get in there for my daughter because we can’t have a cat at home (husband has allergies) but it was all too much planning. I can see that if I tell my son about all those animal cafes Tokyo will immediately fly to the top of his travel bucket list, and he might just decide on a new career on the spot to boot. And I have been moved to google to see if we have one hereabouts and we do!!!!! I foresee a visit in the not to distant future… What a fabulous idea! Oooh. Please tell me how the Moscow cat cafe is. I wonder if Russian cats have attitude (and swill vodka). I love this! 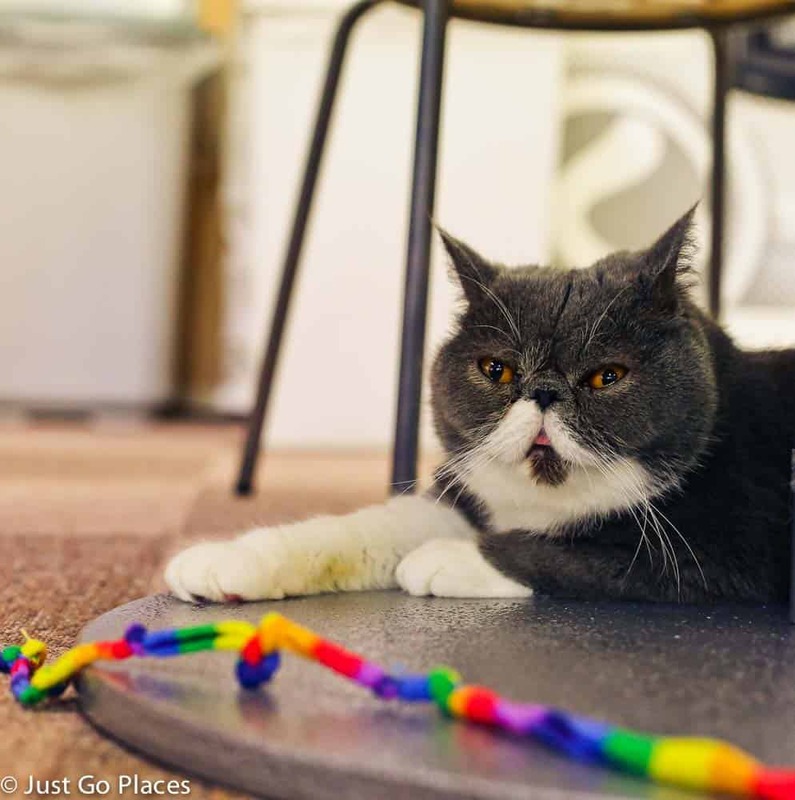 I’ve always wanted to visit a cat cafe – I am a proud crazy cat lady. I think I’d have a hard time leaving the cafe and saying goodbye to the kitties! I think my daughter is a crazy cat lady waiting to happen (like her dad the Cat Whisperer). My girls would love to visit a cat cafe! We have on here in Okinawa but I don’t think it has as many cats as others around Japan! I guess the only reason you need to have more cats is if the cats get tired and want to be left alone. Unlike dogs, when they want to be left alone, they won’t even cuddle. I’ve seen several blogs now that have featured cat cafes and that is so wild to me! I just can’t imagine, but I suppose that if you can’t have a pet, it certainly does fill a need. How creative and interesting! I think pets are great therapy. I love my dog and nothing is better than a doggie cuddle when I’m feeling tired. The photos look amazing and sounds like a fantastic day for everyone! How wonderful! I didn’t know there was a doggie cafe in Brighton. One dog is all you need! There’s no way that I’m setting foot inside a snake cafe or even a reptile cafe. A penguin cafe would be interesting, but I wonder how much cuddling would go on. Penguins seem stand-offish. I would have loved to visit a Cat Cafe when we were in Tokyo, but alas, I am horribly allergic to cats. Rabbits, too. I’m glad I got to see it through your eyes at least. I agree. Some of those other animals are not great pets so not sure how they work in a cafe setting. We love that in Britain a lot of pubs let you bring dogs into the pub area. You can have a drink and a casual meal. I guess they can’t rely on good weather and outside tables here! Thank you for this! My children and I are going to Tokyo in June and I was just noticing that many cat cafes don’t allow cats! Thanks for the suggestion!